The Blue Jays' affiliates combined for a 4-1 record on Tuesday, getting wins from every team in action save for the Buffalo Bisons. While the Buffalo Bisons (34-36) showed more life with the bats on Tuesday, they took a 4-3 loss to the Rochester Red Wings. Christian Lopes, hitting at the top of the order, launched his third home run, coming a triple short of the cycle in a 3/4 game. Jason Leblebijian went 2/4 with a run and Jake Elmore was on base twice with two walks and an RBI. T.J. House had his record evened at 6-6 with a performance that had him allowing four runs on nine hits and three walks with seven strikeouts over five innings. Murphy Smith was very solid, tossing three scoreless innings, giving up two hits and a walk with one strikeout. The New Hampshire Fisher Cats (29-39) returned to action, doubling up on the Harrisburg Senators 6-3. Harold Ramirez hit his fourth home run of the season, driving in three runs and going 2/4. Andrew Guillotte also had two hits and a walk, scoring a run while Jonathan Davis was 1/3 with a walk, hitting a three-run home run. Conner Greene didn't have his best outing, walking five and allowing three runs in 4 2/3 innings, giving up seven hits. He did strike out five batters though and Justin Shafer was able to strand his two inherited runners from Greene. Shafer went 2 1/3 innings, striking out two. Dusty Isaacs struck out the side around a single in his inning and Tim Mayza earned the save, giving up a hit and two walks in the ninth. The Dunedin Blue Jays returned to the .500 mark, outlasting the Lakeland Flying Tigers in a walkoff 2-1 win. 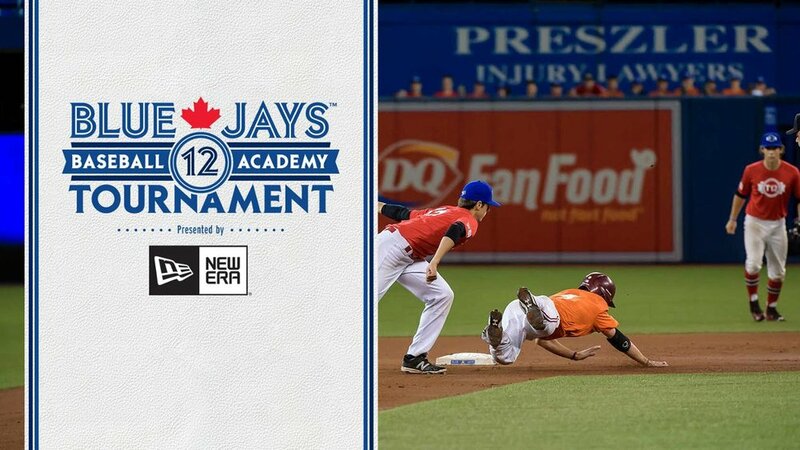 In the bottom of the ninth, Lane Thomas doubled home Connor Panas (Toronto, Ont.) to score the winning run. Panas was 2/4 with a double earlier in the game in addition to his ninth-inning single. Michael De La Cruz drove in the club’s other run in the seventh inning as the Blue Jays got the most value out of their four hits on the day. Angel Perdomo had an excellent start, allowing just one unearned run on three hits and two walks with eight strikeouts over five innings. Perdomo left with the bases loaded in the sixth inning and Kirby Snead allowed one of his three inherited runners to score before shutting the door, striking out two and walking one. Adonys Cardona allowed two hits but no runs in the seventh and Danny Young earned the win, allowing just one hit in two innings with one strikeout. Roster Notes: Jesus Navarro and Jose Nova were sent to the Bluefield Blue Jays for their season which starts on Thursday. In roster moves we missed, George Carroll was placed on the DL while Lourdes Gurriel and Conor Fisk were activated. The Vancouver Canadians erupted for six runs in the bottom of the sixth to "deep-six" the Everett AquaSox in their home opener 7-1. Jose Espada stepped into the Vancouver rotation, tossing 4 2/3 innings of outstanding baseball. Espada struck out seven while walking just one and giving up one run on three hits (including a solo home run). Juliandry Higuera took over with 2 1/3 excellent innings, striking out four and allowing just two hits and a walk. Bobby Eveld gave up two hits in the eighth but no runs and Chris Hall (2/3 inning) and Brayden Bouchey (1/3 inning) finished the game by splitting the ninth. The offense only had seven hits but they made them count. Deiferson Barreto was 2/4 with a double, an RBI and two runs while Kevin Vicuna was 2/4 with a double, two RBI and a run. Lance Jones drove in two runs, going 1/4 with a run and an outfield assist and is hitting .353 early in the season. Bryan Lizardo was 1/3 with a double and a walk and Canadian Owen Spiwak (Mississauga, Ont.) walked twice, going 0/2 with a run. Roster Notes: Catcher Javier Hernandez was assigned to the Vancouver Canadians from Lansing. The DSL Blue Jays got back on the winning side of things with a 6-1 victory over the DSL Orioles. The pitching staff was on point with starter Joi Concepcion going five innings and allowing just one run on three hits and a walk with five strikeouts. Elixon Caballero struck out three in two innings, giving up just one hit and Emanuel Vizcaino allowed a hit in his inning, striking out one. Brayan Mejia kept his ERA at 0.00 thanks to a perfect ninth inning with one strikeout. Jose Briceno and Andres Martinez had three hits each. Briceno was 3/4 with a walk, a double, three runs and a stolen base while Martinez was 3/5 with two RBI and a run and was caught stealing. Gabriel Moreno was 2/4 with a double and two RBI. Kenny Mauricio was on base twice, going 1/3 with a walk and a stolen base.